You searched for which does not fit your . We've redirected you to 166-4798, which has the proper fitment. Aside from the obvious visual effect of being seen from 1000 yards away, this gear will keep you bone dry in the worst downpour. Recommended for those of us who do not let the weather dictate whether you ride. 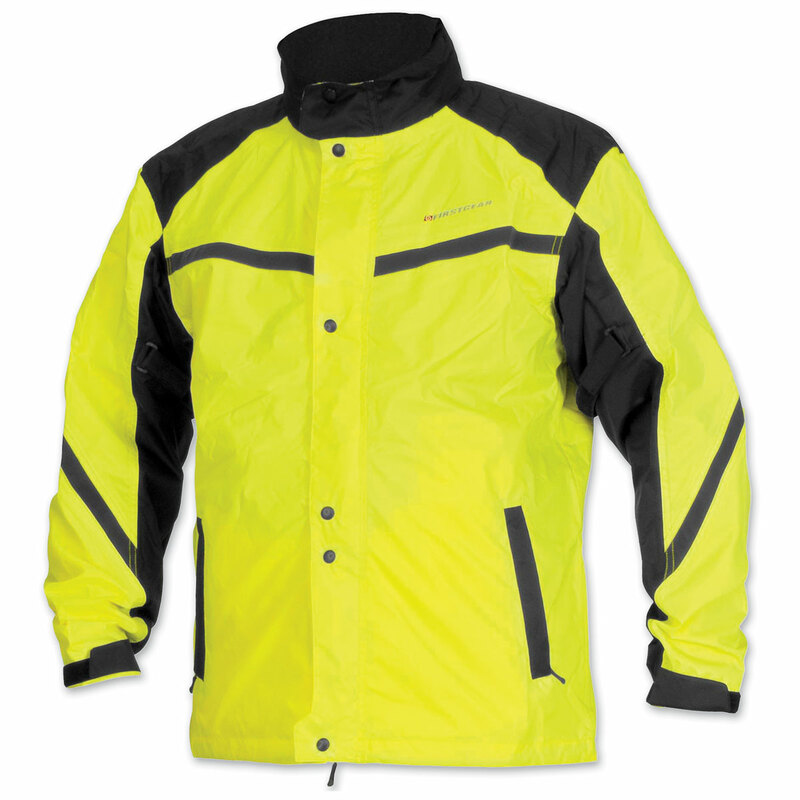 Not recommended to be worn over Firstgear Textile Jackets and Overpants, because those products have a waterproof/breathable exterior. So, basically use over Mesh or any other non-waterproof product. Second quality rain jacket I have owned, I put on some weight and grew out of the first one.. it moves easy, no bunching. Reminds me of the outer layer jacked I wear on cooler days. Fits as expected..